As I've written about on this blog in the past, I'm constantly on the lookout for rare gems, overlooked oeuvres, or just new-to-me films. 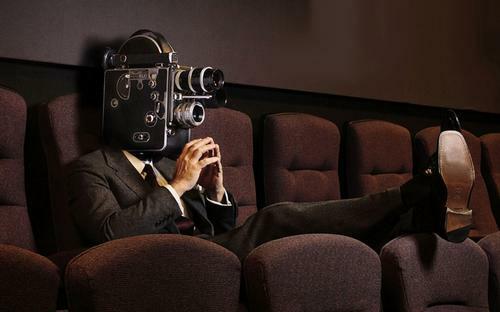 Whether they are award-winners, cinema classics, documentaries, b-movies, book-to-screen adaptations, or even Razzie-worthy flicks—I want to check them out (or at least put them on my neverending "to-watch" list). Come December, especially during this more laid-back time between Christmas and the New Year, I always have some extra time to relax and watch some movies. Thankfully there's some new film additions to the National Film Registry to check out! 25 films are selected each year showcasing the range and diversity of American film heritage to increase awareness for its preservation. Spanning the period 1905 to 2000, the films named to this year’s registry includes Hollywood blockbusters Titantic, Die Hard, Field of Dreams, and Superman; award-winners To Sleep with Anger, Memento, Gentleman's Agreement, Guess Who's Coming to Dinner; Criterion Collection selections Spartacus, Only Angels Have Wings, and Ace in the Hole; cult classic The Goonies; music bio-pic La Bamba; documentaries Boulevard Nights, 4 Little Girls, Thelonious Monk: Straight, No Chaser, With the Abraham Lincoln Brigade in Spain, and Time and Dreams; silent movies He Who Gets Slapped; animated feature Dumbo; independent feature Wanda; historical films and shorts Fuentes Family Home Movies Collection and Interior New York Subway, 14th Street to 42nd Street; and experimental motion pictures Lives of Performers and The Sinking of the Lusitania. You can browse and check out the majority of this year's selected films from our catalog, available in DVD, Blu-ray, and Streaming Video formats, while others can be found in the public domain or viewable via video-sharing websites like YouTube. This year's selections bring the number of films in the registry to 725! Kirk Douglas is a reporter whose stumbles upon a man trapped in a cave, and decides rescuing him sooner rather than later won't be as big a news story. Life in the barrio of East Los Angeles, told documentary-style with mostly non-professional actors. Bruce Willis and Alan Rickman star in a classic action film, perfect for the Christmas holidays. "Yippee-ki-yay, mother******!" You will believe an elephant can fly! Kevin Costner in the film that can make grown baseball fans weep, in a good way. Spike Lee's Oscar-nominated documentary about the 1963 bombing of the 16th Street Baptist Church in Birmingham, Ala., by members of the Ku Klux Klan. Amateur films that document life along the Texas-Mexico border in the early 20th century. Gregory Peck is a writer who investigates anti-Semitism by passing as a Jew in this Oscar-winner from Elia Kazan. A raucous adventure featuring a pirate's treasure map and scoundrels out to steal a treasure from some plucky kids. From executive producer Steven Spielberg. Spencer Tracy and Katharine Hepburn are surprised when their daughter brings home her fiancé, Sidney Poitier. Lon Chaney in a landmark silent tragedy, the first film from MGM Studio. People really do "ride in a hole in the ground" in New York, New York. The film proves it. Lou Diamond Phillips stars as musician Richie Valens in this entertaining and sentimental biopic. An experimental dance film from choreographer Yvonne Rainer. Christopher Nolan's breakthrough murder mystery. Cary Grant, Jean Arthur and Rita Hayworth in a classic Howard Hawks melodrama about pilots flying through the Andes, not all of whom make it. Winsor McCay's animated propaganda film about the German submarine attack on the ocean liner. Kirk Douglas as the gladiator who leads a slave revolt against the Roman Empire helped end the studio blacklist. Christopher Reeve soars at the Man of Steel in the comic book superhero movie to top all. A remarkable documentary about the bebop jazz pianist and composer. Mort Jordan's personal account of Alabama coming to terms with the civil rights movement. James Cameron's romantic epic tied for the most Academy Award wins (11) and became the highest-grossing film. Charles Burnett's character study stars Danny Glover as a visitor whose arrival stirs divisions, jealousies and violence in a family. Barbara Loden wrote, directed and starred in this landmark independent feature of a woman who abandons all norms in Pennsylvania coal country. Henri Cartier-Bresson directed this documentary of recruits in the fight against fascism in Spain before World War II. The National Film Preservation Board allows you to nominate films (up to 50 titles per year! ), so feel free to nominate your favorite films or ones you think are woefully underrated and deserve some attention. If you need some ideas or a refresher, check out this list of films currently not in the Registry. How many of this year's selected films have you seen? Which films do you think should be included in next year's selections? Let us know in the comments! 25 films are selected each year to be added to the National Film Registry of the Library of Congress, showcasing the range and diversity of American film heritage to increase awareness for its preservation. Whether they are award-winners, cinema classics, documentaries, b-movies, book-to-screen adaptations, or even Razzie-worthy flicks—I want to check them out (or at least put them on my neverending "to-watch" list). Nice find! Will definitely have to check them out, Thanks! Would be nice if you recommended films from Hoopla and the other viewing option. They're not easily searchable. Surprised the library didn't get Overdrive, which is very popular.